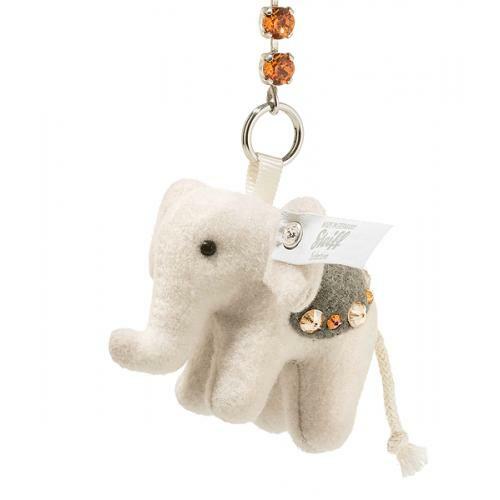 Steiff Pendant Little Elephant is from the Steiff Classic collection and made in beautiful light grey trevira velvet. 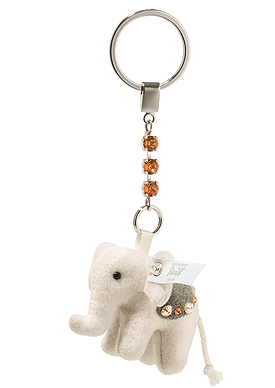 The Pendant little elephant measures 5 cm and is made of the finest light grey Trevira velvet. The saddle cover is in pebble grey Trevira velvet. The lovely pendant is embroidered with Swarovski® crystals. The beige and orange crystals decorate the non-removable saddle. Orange Swarovski crystals decorate the pendant chain. 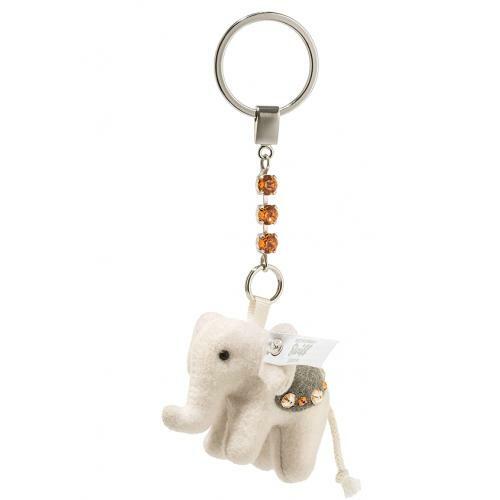 The Pendant little elephant makes a lovely highlight for keys and bags and is a valuable gift for people who love special things.